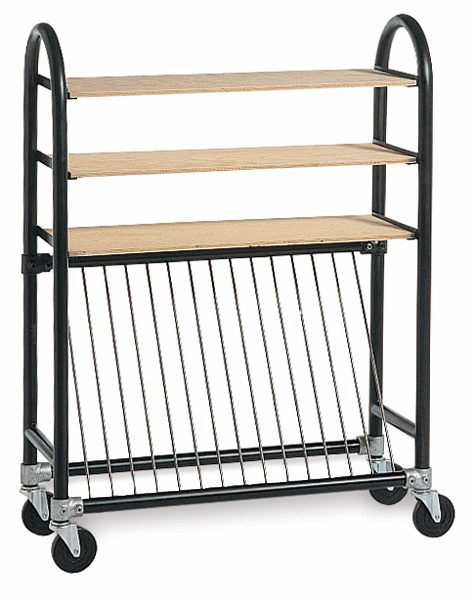 Load and unload kiln furniture easily and efficiently with this rolling cart. 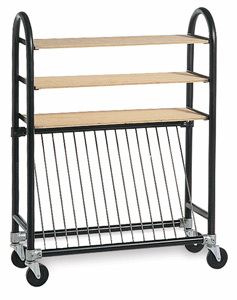 Steel rods store up to 16 shelves (up to 20") vertically, separating them to reduce damage. Three shelves (included) provide room for kiln posts, cones, and stilts, and are interchangeable with the Brent Ware Cart. Heavy-duty casters are included.